There were published the results of the annual tasting competition of the Old World, Mundus Vini Spring Testing 2015 which was held in Neustadt, Germany. Mundus Vini is a leading world-class annual competition arranged in 2001 by Meininger Verlag German Publishing House of magazines in the field of winemaking. Twice a year the panel of 140 experts tastes up to 8000 wines from more than 40 countries in 3 days. The fact that since 2014 valuation rules of wine products presented at the competition have met the standards of the international organization of viticulture and winemaking, Organisation Internationale de Lavigne et du Vin (Paris) gives special kudos to the competition. Accordingly, MUNDUS VINI awards are officially recognized by the European Union as an international seal of quality. As a result of multistage selection the winners included SAVALAN products of Azeri manufacturer ASPI AGRO. 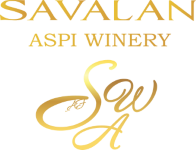 Gold Medal was awarded to Savalan Cabernet Sauvignon Reserve Dry wine of 2011 harvest aged in oak barrels, and Silver Medal was awarded to Savalan Viognier Dry of 2014 harvest. Among the other best wines, Azeri wines-winners were recommended by the jury to participate in the next contest Pro Wein which will be held on March 15-17, 2015 in Dusseldorf. This will allow Savalan wines to represent Azerbaijan at the next authoritative international forum for the seventh time.